Start by Creating FREE Account! Posts to internet websites in just a few clicks! 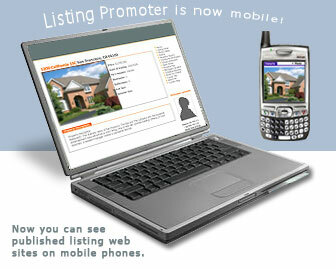 ListingPromoter Single property Websites in minutes! Turn your listing address into a website domain name for targeted sales promotion. Copyright © 2010 Baynet World, Inc.